The “Animale collection” was inspired by Elise Som's first trip to Africa in 2004. The collection shows a diverse range of pieces that fuse both Eastern and Western worlds. 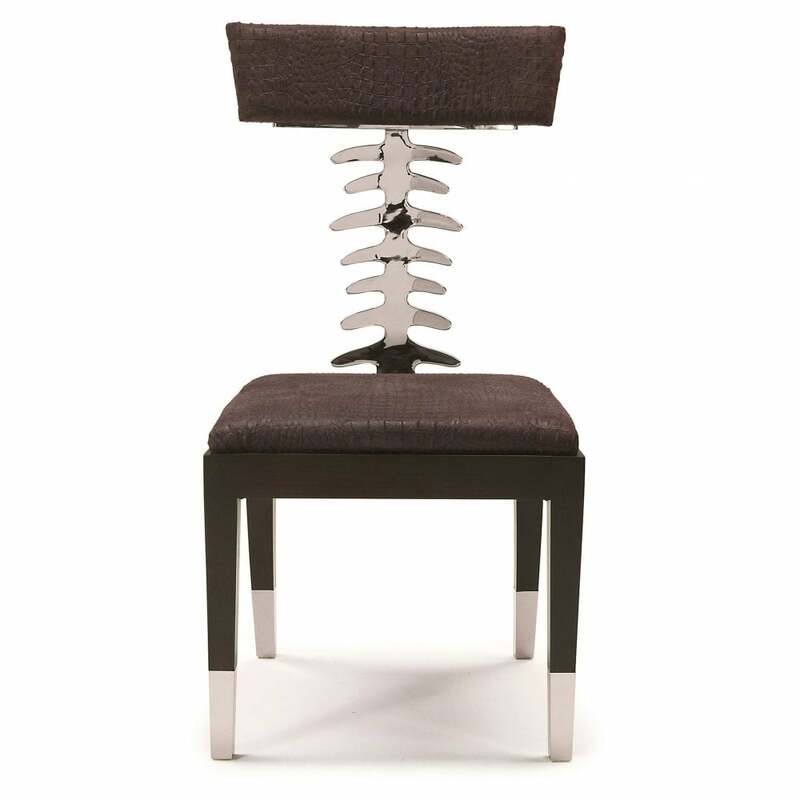 The polished nickel spine and caps of the Jaya Dino Chair adds a bold statement to any dining room space. Upholstered in a dark brown Iguana embossed crocodile leather, the chair is crafted out of oak wood stained Wengè in matt finish. Combine with Croco Dining Table for ultimate impact or choose a sleek style with simple, dark wood Skandi designs. Mix in with the Geo and Inverso chair for an eclectic feel. Does not include fabric or leather. Please contact us for options.